NEWS LIVE: This report contains news live as it develops and is being updated continuously. Bookmark and refresh the page periodically for updates. Last update: 5:12 p.m.
WASHINGTON CITY – Update 5:12 p.m. Sgt. Dave Crouse with the Washington County Sheriff’s office has confirmed that a suspect has been fatally shot. 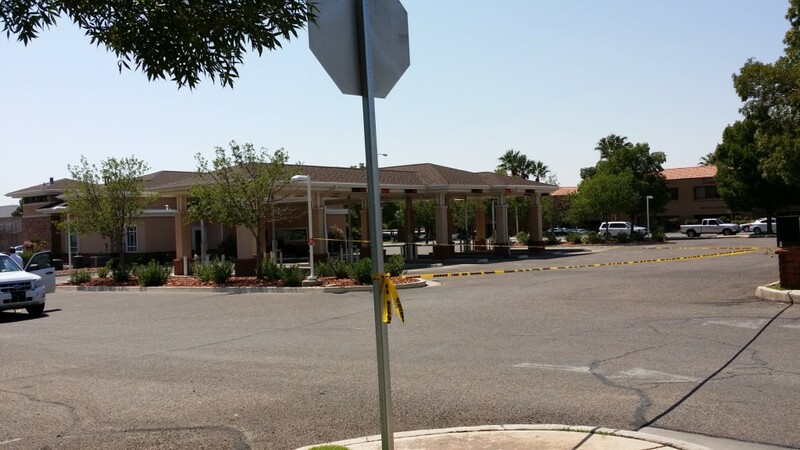 The incident is still under investigation, but they believe the deceased person was involved in the robbery. Update 4:43 p.m. 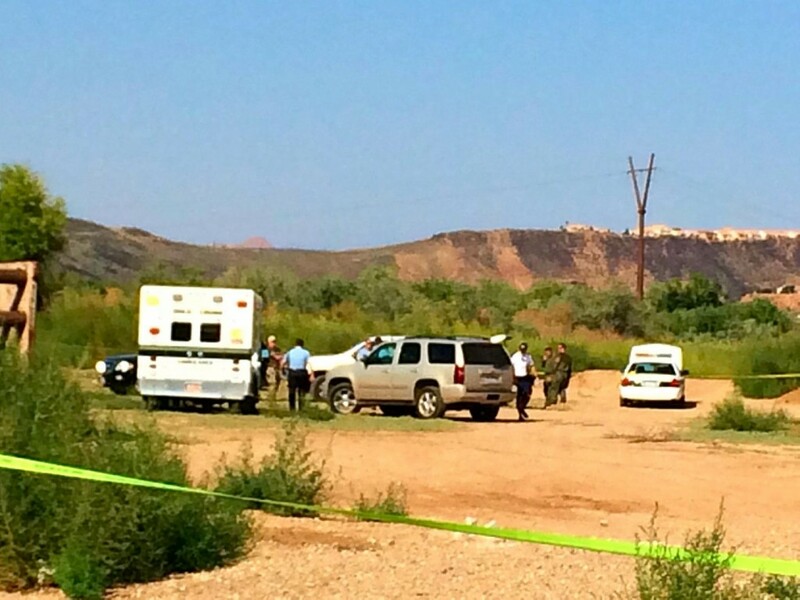 The Washington County Critical Incident Task Force has been called to the scene. It has not yet been confirmed whether the suspect is alive, but the Critical Incident Task Forces operates under the the purview of the Washington County Attorney, with the concept that agencies other than the agency involved conduct investigations in certain incidents. The trigger for the Critical Incident Team’s involvement is when an officer is involved in the potential use of deadly force. Update: 4:28 p.m. 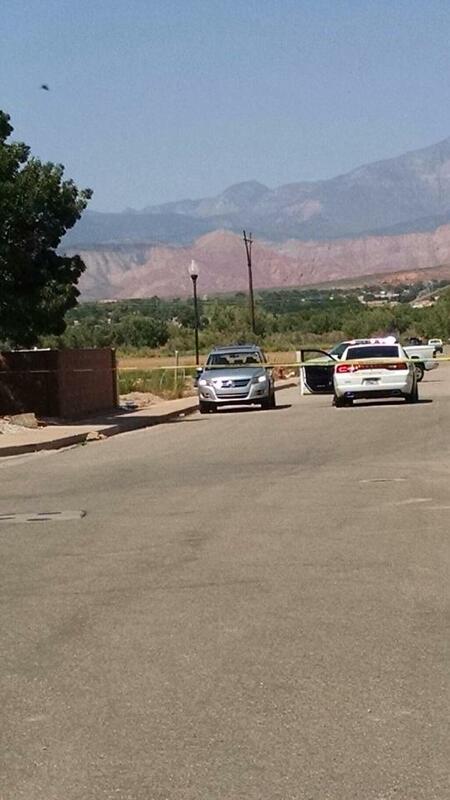 The St. George Communications Center confirmed police have caught the robbery suspect. All locked-down students have been released. Additional details will be reported as they become available. 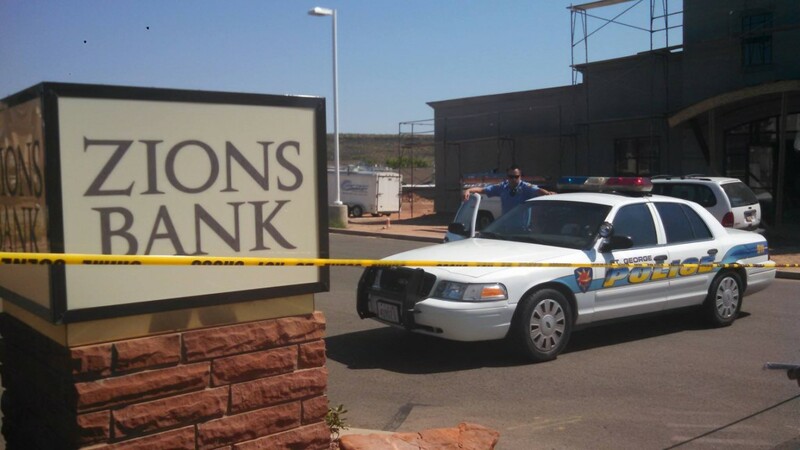 Police have been in pursuit of an armed bank robbery suspect who reportedly robbed Zions Bank on River Road in St. George and fled with hostages. Officers are currently in pursuit of the suspect in the Washington City area. The suspect was reportedly wearing a blond, curly wig and a black hoodie and is armed with a handgun and a sawed-off shotgun. Update 4:11 p.m. 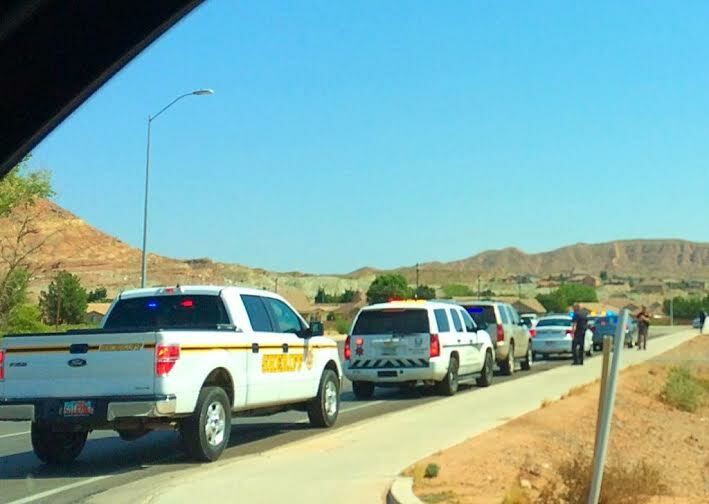 According to information from the Washington County School District, all students living south of the Virgin River will continue to be held at their schools until further notice from the local police department. Updated school lockdown information can be found here. 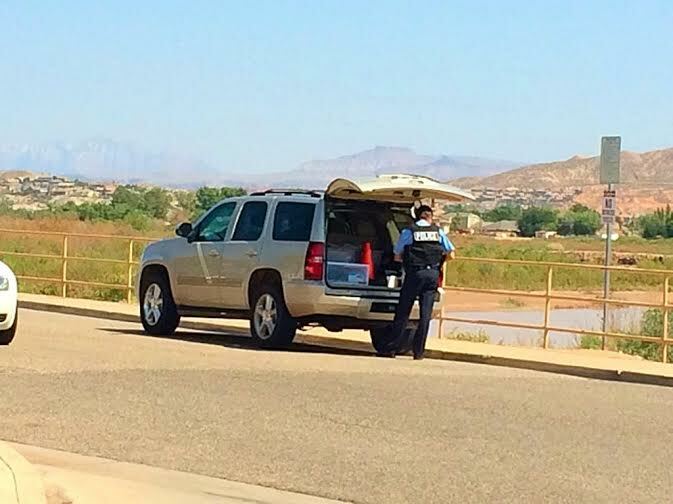 Update 3:13 p.m. Officers are now assisting in releasing students from the locked-down schools. 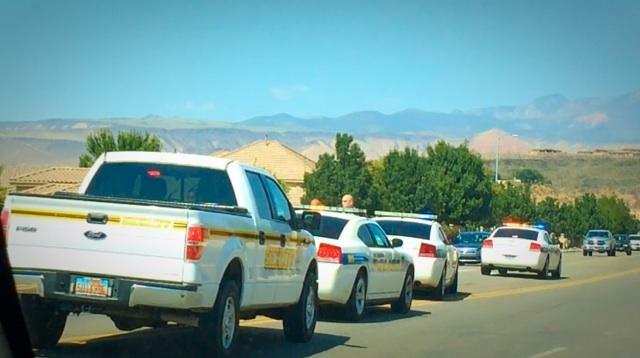 Update 2 p.m. Schools in Washington City, Washington Fields and the Pine View area have been placed on lockdown until the situation is resolved. The Washington County School District is asking parents to stay away from the schools in these areas and to refrain from picking up their children from school for the time being. School buses will not depart from these schools until the situation is resolved. George Washington Academy has also reportedly been placed on lockdown. “Right now, stay away from the schools,” Washington County School District Superintendent Larry Bergeson said. Bergeson said the difficulty is that school will let out soon, but students will be kept inside the schools in these areas as a precaution until pursuit of the robbery suspect is concluded, or until information is received from police that it is OK to allow students to leave the schools. “We’re just actively waiting her for more information,” Bergeson said. 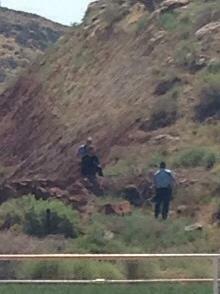 A helicopter and canine units have been called in to assist with apprehending the suspect. The hostages taken in the robbery are reportedly now safe and in police care. Stay tuned for updates as additional information is received. See this guy was just arrested the other day! I told you are system has failed! (are) when in Rome speak like the Mormons do! What an ignorant and false statement, disparaging millions of people. Good job on confirming your lack of intelligence. Mormons make up less than 1% of believers in the world, but they make up 99% of those constantly “offended”. I, too, feel for the offended Italians. Shame. Shame. I don’t think anybody really cares how many Mormons there are out there…if there are millions then we are in one heck of a predicament. GO FALCONS! zzzzzzzz* I guess I am suppose to feel inferior. You’ve got to have something better to do with your time…unless you’re an English teacher…yikes! Just bashing the troll giving the poor guy a bad time for something they are just as guilty for.. no more time than you I suppose 😉 glad everyone is okay minus the perp. They have the wrong pic up for the guy. They have not released a pic yet but they do have one from the bank. Now there is a bank pic posted. The only photo of the robbery suspect we have put in the post is the one from the bank, released by the St. George Police Department. What wrong photo are you seeing? Please email me with the details if you believe there is an issue with one of the photos, cjim@stgnews.com — the story post is showing only correct photos at my end, but you never know with social media. I see now what proudtobeAmerican is saying. I shared this news to my facebook page, and the picture of the guy that aledgedly robbed the credit union picture is attached to it. It was showing a photo of a man that was arrested a few days ago. Now it shows the correct pic. With all of the kids in lock down, and an armed suspect on the loose, you choose to focus on the system? Do you just sit on this website all day, refreshing each page, hoping for an opportunity to shove your agenda down anyones throat? Focus on what matters, dude. No one cares if the system is broken right now, we care about keeping our county and kids safe. Priorities. Great answer. Also, historically speaking, Rome has been predominately populated by Catholics. So. Theres that. oh yeah….well you’re a Mormon! So go wait in the drive through at Swig! Oh and I have Family at George Washington and I know she is safe because she is a black person! This has put George Washington Academy, and likely other area schools, on lock down. My babies are in 1 of those schools that are in “lock out” mode right now! And I’m worried SICK! Just got an email from the school that they have been given the all clear. We have received an “all clear” message from the district office. Students at DHHS will be let out of school. not the best christmas spirit… santa! Just what are you doing with a knife in school? Uh, hello…? Shop. Tools an such whatnot. I am waiting for my child who is on lock down and worried sick if it is the same guy and they let go for trhe last robbery as stated by PROUDTOBEAMERICAN then it is a problem of the system and we wouldn,t be here right now ! Since his name hasn’t been released, I would like to know how PROUDTOBEAMERICAN “knows” it is the same guy. Even if it was, people are allowed to be out on bail until trial. You know, the whole innocent until proven guilty concept. They had the wrong picture up earlier…but from sounds of it its all my fault. I’ve been stuck in this chair for two hours now. I wish the lockout was over, but at the same time I kind of want it to become a higher stakes thing. Nothing interesting has happened in St. George since dinosaurs. This is pretty dang exciting. 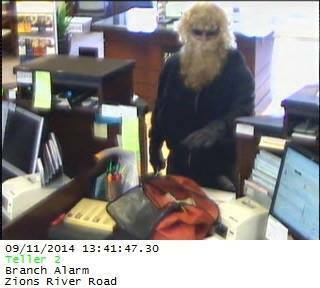 I mean, Santa robbed a bank! I’ve been listening to the Police Scanner. They’ve given the okay for schools to start releasing kids, but they want police officers there when it happens. It sounds like they are just waiting for the man power and they’ll start letting them out. 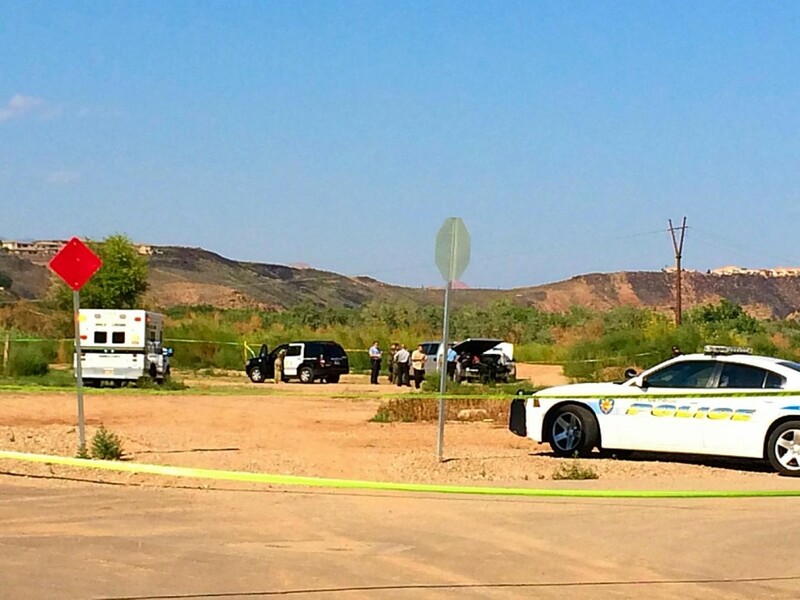 Also, it appears the customer parked his vehicle at the park in The Springs, and he ran into the desert area between there and Fossil Ridge. 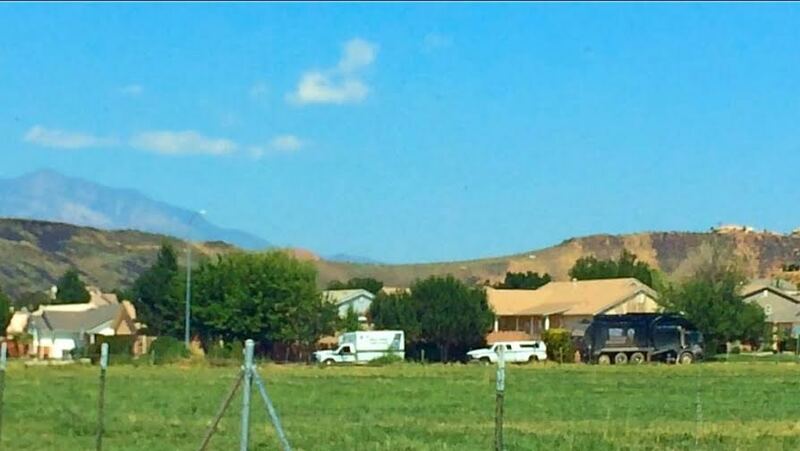 Police are currently surrounding the area, and I believe they’ll start searching the area shortly, though they may just be trying to wait until all of the kids have cleared the area, especially students at Millcreek and Fossil Ridge. Officers have been called to make sure the kids that walk and bike to school get out okay. SUSPECT not customer in that first line. My bad! 18 police vehicles including a SWAT van outside my house in Heritage Fields subdivision in Washington city ; officers in bullet proof vests and assault rifles. 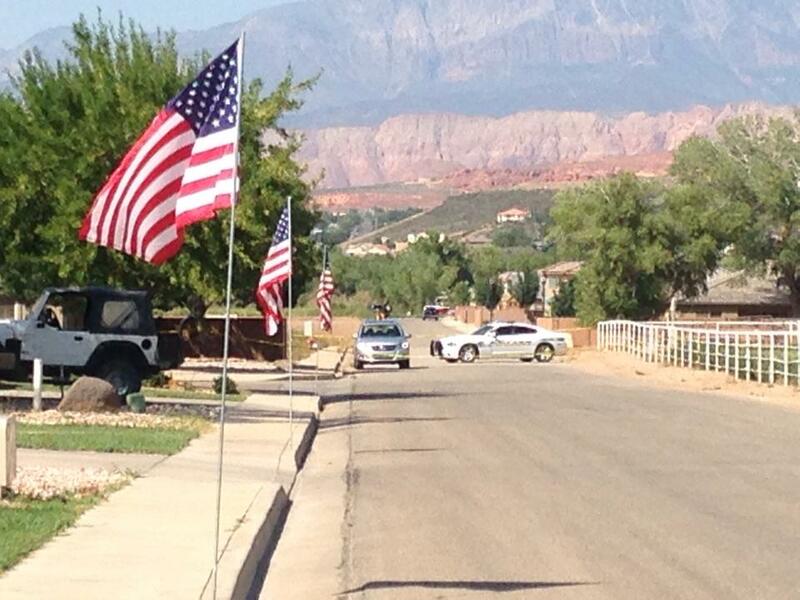 One officer told me shots had been fired – must have been earlier in St. George. Our Street blocked on both ends. Told to stay in doors. Helicopter overhead in zig zag pattern. I need to get out for a ball game in Cedar so hope it is resolved soon!!! Oh my yes, Hugh! Your ball game in Cedar is SO much more important than anything else. 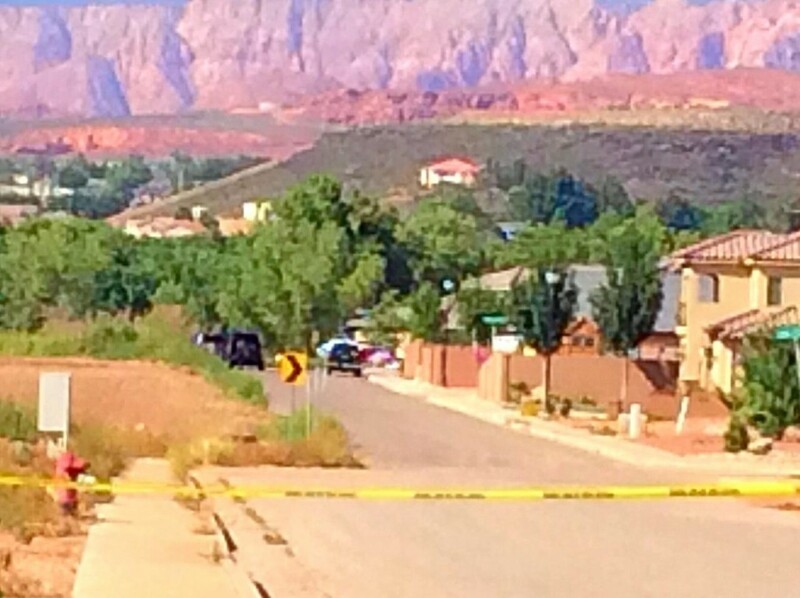 The police have a large vehicle (size of an RV) set up as command center ; SWAT officers just searched our house. Did they have a warrant, or did you let them violate you 4th Amendment rights and just come on in ? You still have rights. Even in an emergency. Seriously. Just because there is a suspect out there gives no rights to the police to search your home without a warrant. That would never happen with my home. Period. Can’t you give Max Hall a little break? He just needs some money to support the coke habit! More updates please!! My kids are still in lockdown at Riverside elem as helicopters still are continually flying over my house. The latest update gives no info and implies all kids are headed home. Is the suspect at large? What is going on? Riverside Elementary is still on lockdown. I believe this is the closest school to the search efforts. Stupid mormons- who cares? If the party tbat owns the mansion in above photo didn’t own the police along with his 15 wives no one would care. God I dislike mormons … grrr. If people who are so worried about a bank.robbery cared about normal people’s problems, they wouldn’t be so shocked by such bland news ..
I’m not even Mormon and your comments are so juvenile! I can tell by your language that you are not a winner in life. There is still time to change! Please explain your statement’s relevance. Are you deeply traumatized by Mormons who won’t stop bringing you hello molds or did you have a Mormon upbringing that was just too tough on your free spirit? Maybe you can enlighten these Millions of people that you happen to dislike because of their personal beliefs? The server supporting the Police Scanner stream has crashed. 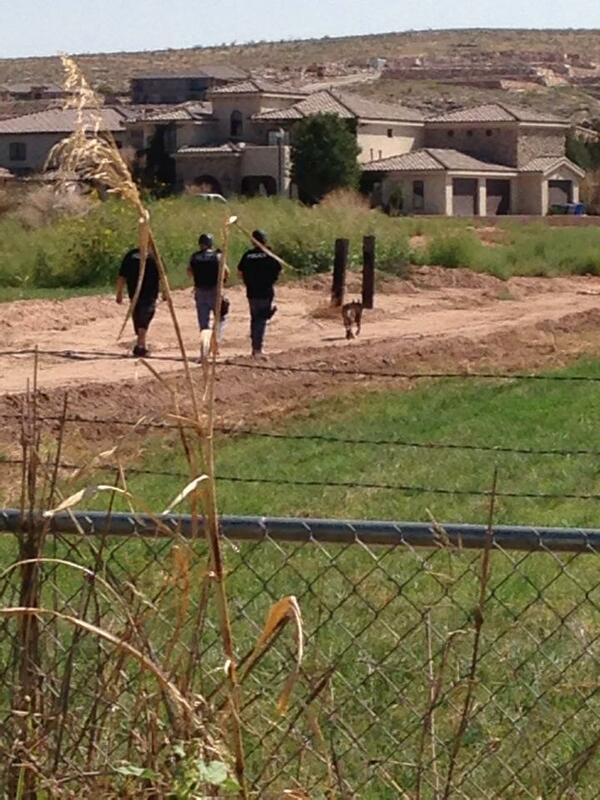 Last I heard, they had a team along the river, and serval units checking houses and neighborhoods. It’s been an hour since the last update, is there anything new to report? Those links are from another bank robbery over a month ago. You may want to add a date to the links so as not to confuse people, or remove them from the “Related Posts” section as they aren’t related to this bank robbery. At the very least you could remove the “Live NEWS:” part from the second link. So the link to the school district website, said suspect was apprehended at 4:22 pm. wheres the update? Pineview middle is also still on lockout. I just got off the phone with my friend there and he said they are still stuck in their classes. According to Wash Co School District the suspect has been apprehended. 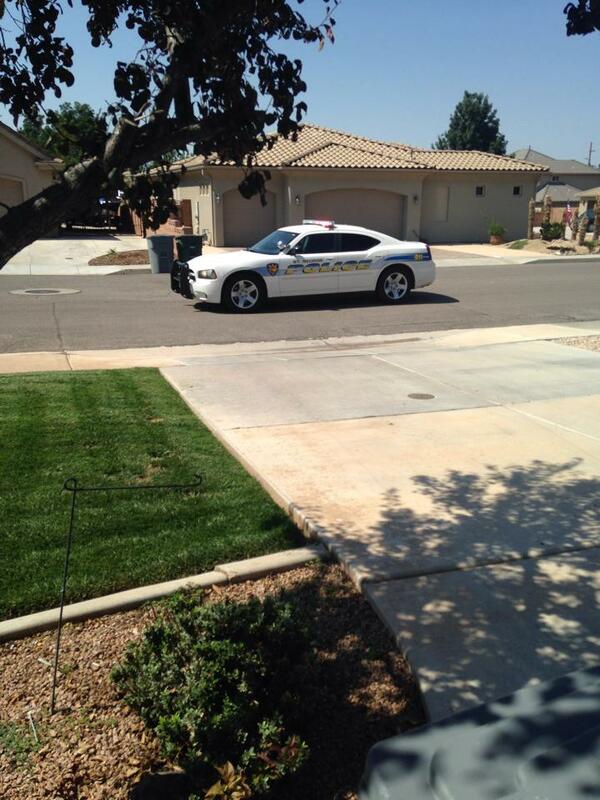 According to the WCSD website, the suspect is in custody and all schools are now being released. Aren’t all schools prisons of sort? Already locked down, in a sense. Why are we restraining the children? What are we afraid of? That they’ll grow long hair and beards and not ask “pretty please” but instead bully others when they need financial support? What if we all just took a moment each day to ponder? Wouldn’t it bring a spot of brightness and good cheer to even the most depraved and darkened of souls? Think about it. According to my scanner suspect was shot in the head at 16:11. Is this current/correct? Don’t matter. Provides a beautiful image. I just heard that someone has been shot.. Is this true? Yes, they shot the bank robber dead. (update 4:21pm) – Suspect has been apprehended by law enforcement – ALL SCHOOLS ARE NOW CLEARED TO RELEASE STUDENTS. To Brigham Young…Mormons don’t have multiple wives; Polygamists do, the fundamentalists do…NOT Mormons. You call Mormons stupid but don’t even know that they don’t have multiple wives. Who’s stupid? Either you are not a Mormon or you do not know anything about your religion or how Mormons get to the upper level of their heaven. On the scanner page, it says that the suspect had been shot in the head and medics had been called out. I feel so bad for the deceased’s family. To ruin a life over money. Of course someone had to blame the Mormons for this. Guess no Christmas this year, fake Santa will be laid up or rotting the ground. Once again I have achieved my goal! I rocked the boat so hard the lames just fell right out! I’m sorry I took KOOLAID’s job today and playa hated on the LDS! It had to be done. Did I mention it was a Tiguan? 2.0 Turbo charged….I believe this was the get away vehicle. It sounds like it. Thankfully no one else was hurt — he must have been in a bad place to be this violent. I am grateful for all of the police presence and care for the community — but this makes me sad for this lost soul and his family. I second that. 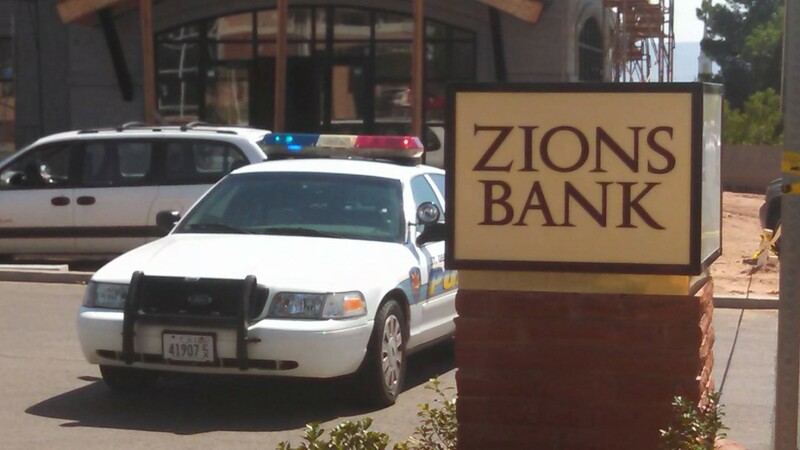 Great job to all officers involved in catching the bank robber! I am a teacher and I was showing my class a 911 tribute and telling my students all the amazing things the NY law enforcement and firefighters did during that tragedy, and in the middle of the video the lock out announcement came over the loud speaker. I am very grateful for our local law enforcement and the courage and skill they show in their work everyday. I felt very safe at school today, thank you. Love the 5:12 pm Update… “they believe the deceased person was involved in the robbery.” I really hope they are sure it was the bank robber. Who is he? Anyone know if he’s been I.D’d yet?? Did he have time to give some of the stolen money to the church to maintain his worthiness? How come the church doesn’t return money stolen through scams and theft? THE LORD DOES NOT GIVE REFUNDS!!! There you are! I was getting out numbered,but I had enough ammo to last me into the night! 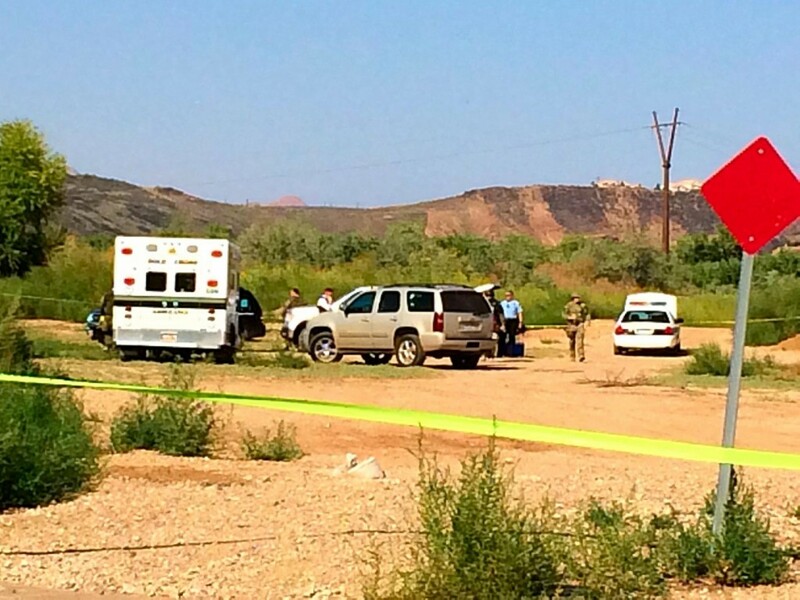 Deceased wearing body armor with ammo. (per law traffic on scanner) This could of had a much different outcome. Head shot stopped him. 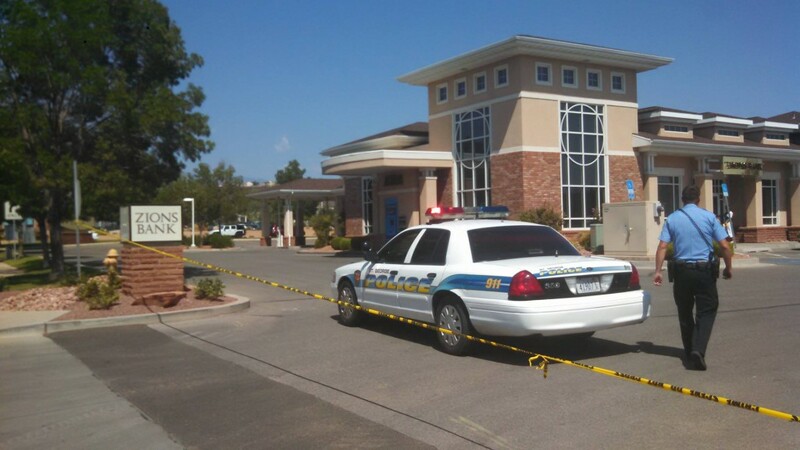 I’m not sure how a bank robbery turns into Mormon bashing. If you hate us so bad. .. please feel free to move away. I sure didn’t invite you here. If you’re going to live in a Mormon community you might want to know a little more about the religion before opening your mouth. … your ignorance is showing! If you don’t like the Mormon bashing then you are welcome to move somewere else were non Mormons will bash on the religion even more. Was it Santa? Did the police kill Santa?! Please remove the anonymity to all posts. I think posts would have much more intellect rather than the pointless gibberish that cowards post while hiding behind a fake name. I don’t know Mike. I think it adds a little flavor to an otherwise dull setting full of dull people. I would consider you to be just as cowardly……Lambert! On my way home from work this evening, I thought to myself, an officer is gonna kill someone today. To bad I was right, though I’m sure the shot was what needed to happen, that officer will carry it with him a long time. Did they really have to shoot him dead? Shoot him in the head???? ! Yes Diane. When a sick criminal robs a bank, takes hostages, steals a car, shoots at police they deserve whatever happens to them. Look at all the time and money saved by not having court and a lengthy jail term. 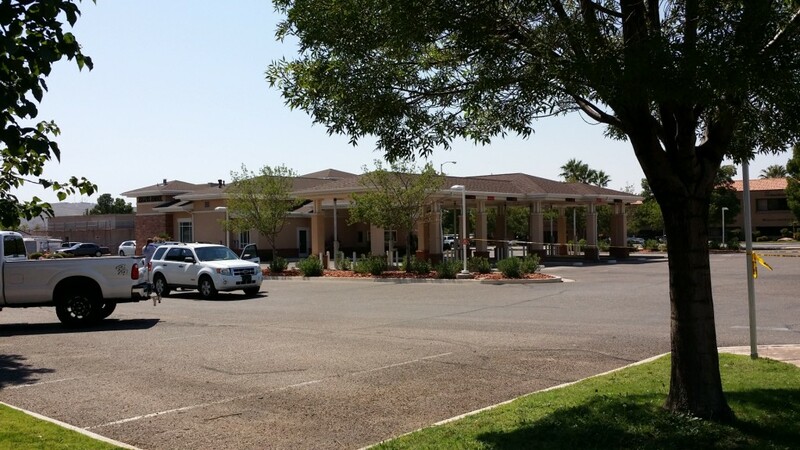 An Incident similar to this just happened in northern California and a hostage was killed. I am surprised that some people are bashing a religion rather than looking at how brave the officers were who were in pursuit of an armed suspect. No I am not Mormon. We as a community of good citizens should be saying thank you to those who serve and protect. I live here because it is a safe community and I will say thank you. I’m sorry but it seems you aren’t completely educated on “Mormonism” very well. If a person has not been temple-worthy, they are not then required to back-pay old tithing in order to then become temple-worthy and receive a recommend. If a person goes to their Bishop and desires to get their life in order and receive a temple recommend, once they have abandoned and made restitution for past sins/misdeeds, the slate is wiped clean and, moving forward, they can THEN become worthy and be eligible for a recommend. Please, if you are going to comment, just be sure you have your information correct. Have they released his name yet? I was so appalled at all the Mormon bashing, until I just read the last post. It is unfortunate that the Mormon conversation is attached to this story, but it is and I’m wanting to say something about it now. ALM5872: I know you think you’re helping your case, but… really?? How much nonsense can a person actually take??? How incredibly weak and lame that any one person should have the authority or “holiness” or whatever label you wish to put on it, to tell you (or anyone else) whether you are “worthy” or “eligible” to enter a building (that’s what it is… a building, just like McDonalds!). SUCH NONSENSE!!! Come on…. most of you Mormons are educated people, and you accept this malarky? UGH!! To thine own self be true…. who are you kidding? You can’t honestly buy in to it??? ?